I’ve come up quite frequently against people who are aghast that I paid £700 for a bike (or £3000 for a trike, but let’s not go into that) when you could get a second hand car for less that would do several thousand miles before needing an overhaul. Alot of this you can put down to the TCO of the car vs the bike with the car needing MOTs, fuel etc, etc that will cost hundreds if not thousands. However, I recently had abit of a revelation. 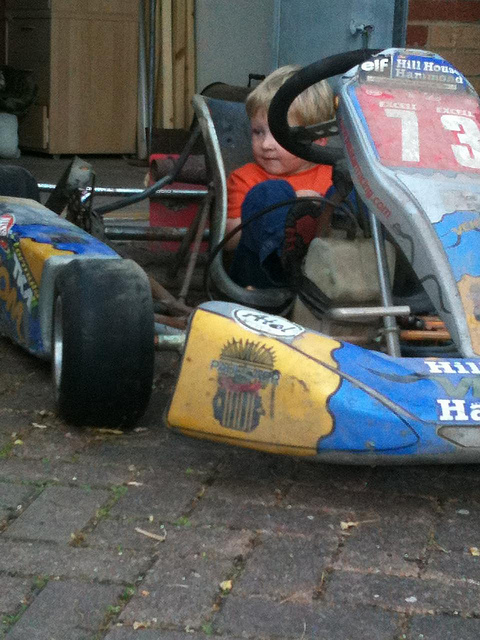 Is heavy at 18kg, but I recently got my old kart out of the garage for my son to have a play in. I struggled to move the thing (without it’s engine). The chassis must have been close to 50kg. Fair enough, it has to put up with alot of lateral forces when cornering at 1.5g, but there’s no reason it should be so much heaver, apart from the fact that the thing doesn’t need to be powered by my legs and there’s a 140kg driver + kart (minimum) weight limit in the class. To get that kart weighing 20kg, would have needed F1 components crafter from titanium and carbon fibre and the kart chassis would have cost more than the £700 I paid for it. In fact, car racing components tend to cost a ludicrous amount, like 10k for a set brake disks. So, in conclusion, when I pay £700 for a bike, I’m getting a bargain, F1 spec technology in a super-lightweight package for the cost of 10 tanks of petrol. we replicated the components of the bianchis with the breakaways- makes all the difference. But yes, expensive.. and we get comments too, esp. from hotel clerks who don’t understand that these bikes aren’t left outside! People thought I was mad paying £1000 for a ten year old touring bicycle. 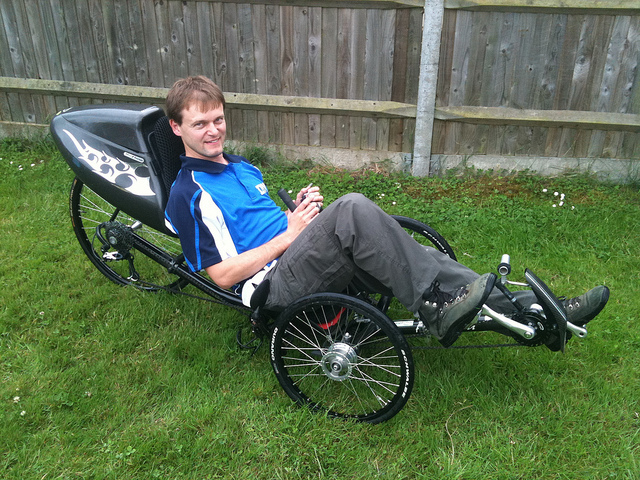 I am mad, but not for that reason, the bicycle is still worth £1000 even after a years worth of cycling. An item is only worth what people are willing to pay for it, whether it is new or second hand. – spend hundreds of pounds per year on a gym membership and not actually go. – spend hundreds of pounds extra per year for a fancy phone contract when there is nothing wrong with my current phone. – spend £1500 per year on petrol commuting to work (this cost keeps going up too). I am not normal, I don’t need gym membership, fancy phones or petrol to get to work, I am a cyclist and doing the maths, my bike has actually made me money, how many hobbies do that for you?